According to a new study published in the Journal of Happiness Studies, the frequency and level of your physical activity has a direct effect on your happiness as well. People who are active have better chances of being happier. Dark chocolate and blueberries have been known to boost mood. There are a ton of health benefits of exercises that have been proven time and time again by scientific research and reiterated by fitness experts. However, you might be surprised to know that working out and engaging in physical exercise may make you happier too! According to a new study published in the Journal of Happiness Studies, the frequency and level of your physical activity has a direct effect on your happiness as well. 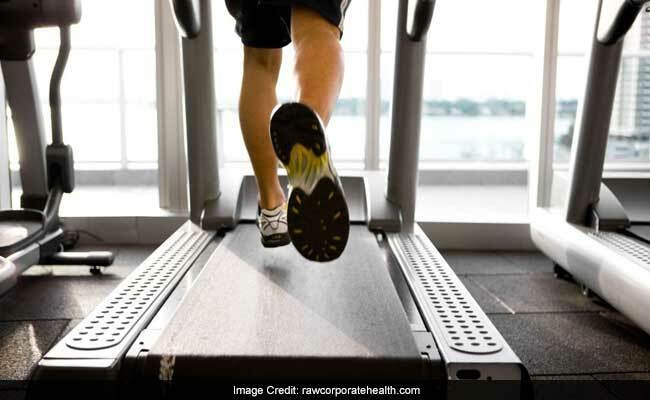 This means that if you undertake more physically engaging pursuits like brisk walking, running, weightlifting, etc, it might just end up boosting your level of happiness. The study found that people who engaged in physical activity once a week had 1.4 times the chances of being happy than those who didn't do any physical activity. These odds only hold true for people who have a normal weight. The odds of being happy are even better for active people as compared to those of overweight people- 1.5 times. The researchers found that physical activity increases positive mental health of people in the same way that it lessens negative mental health conditions like depression, anxiety, etc. Talking about the study, Weiyun Chen, associate professor at the University of Michigan said, "Our findings suggest the physical activity frequency and volume are essential factors in the relationship between physical activity and happiness." He added by saying, "More importantly, even a small change of physical activity makes a difference in happiness." The odds ratio of being happy were 20, 29 and 52 per cent higher for people who were insufficiently active, sufficiently active and completely inactive respectively. 1. Dark Chocolate: Dark chocolate has mood-boosting properties and might just help in losing weight. 2. Honey: This Ayurvedic wonder has compounds like quercetin and kaempferol, which help in reducing inflammation and warding off depression. 3. Coconut: Coconuts are full of good fats which are health for the brain and boost mood. 4. Chamomile Tea: Chamomile tea is one of the most soothing brews out there which are often recommended for treating stress and insomnia. 5. Blueberries: Recent studies have credited the antioxidants and the vitamin C in blueberries with the ability to boost mood.